Installed like two television screens this wine cellar establishes the visual bond between the restaurant and the kitchen. One can easily watch the chef’s flame show through these screens. 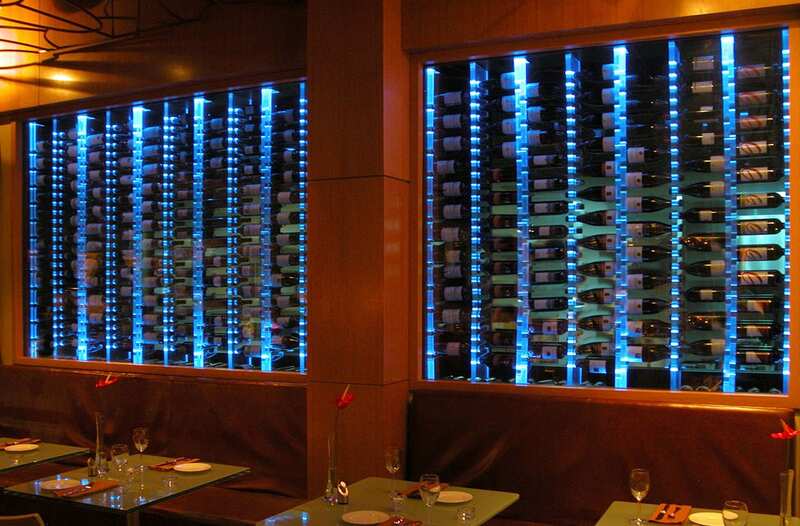 As a result of technological glazing and FWC’s engineering, the wines can be safeguarded against the high temperatures especially those emitted from the kitchen.